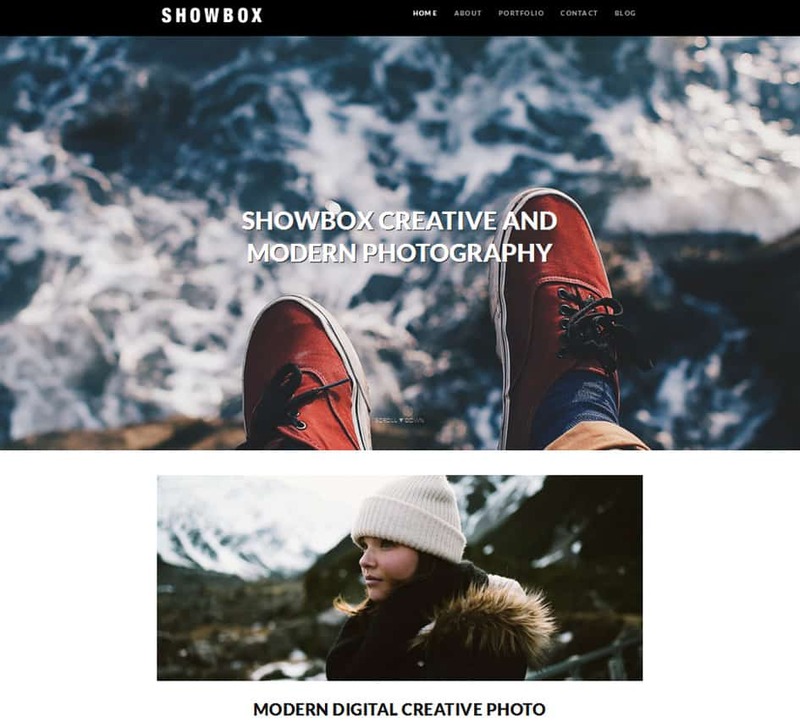 ShowBox free photo WordPress theme with fully responsive build in slider, this photo theme comes with black top navigation, SEO optimized for search engine, large images under the slider to showcase your amazing photography . 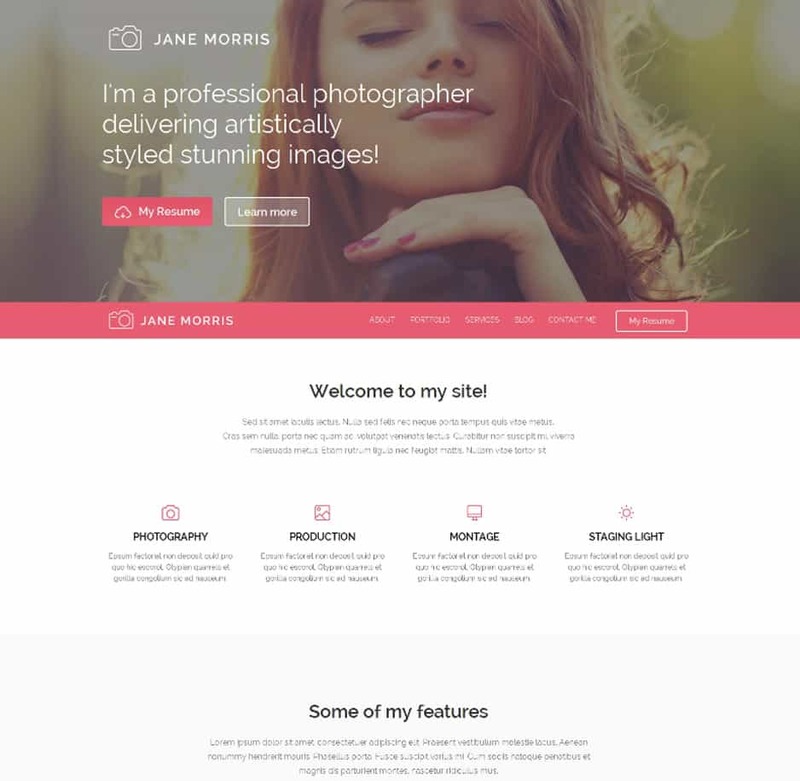 This is beautiful and stylish theme for any professional photographer looking for large image WordPress theme free. 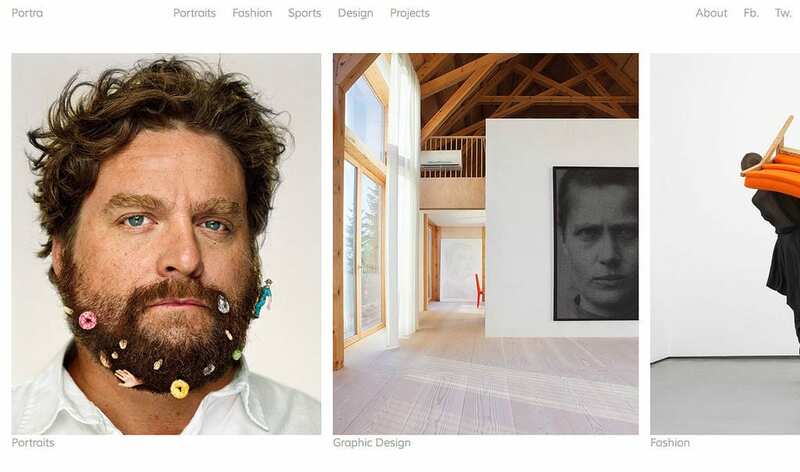 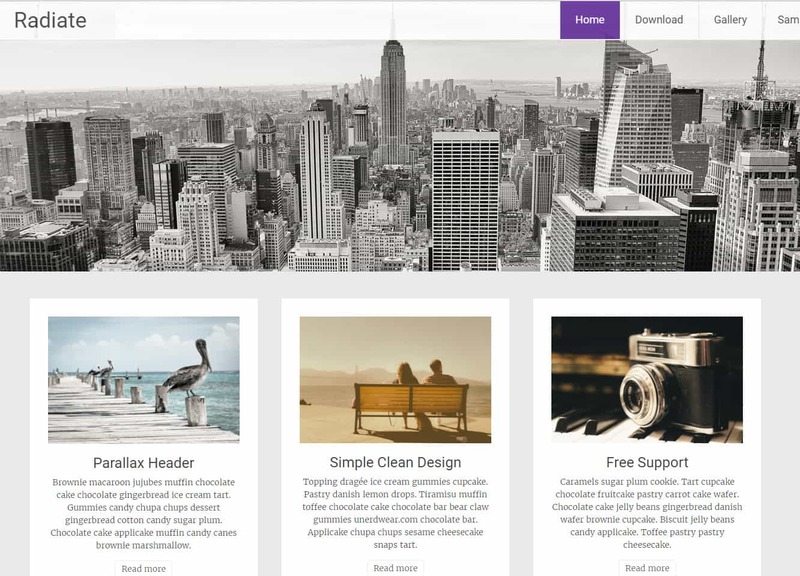 Free Photographer theme perfect WordPress Photo theme for simple gallery themes website. 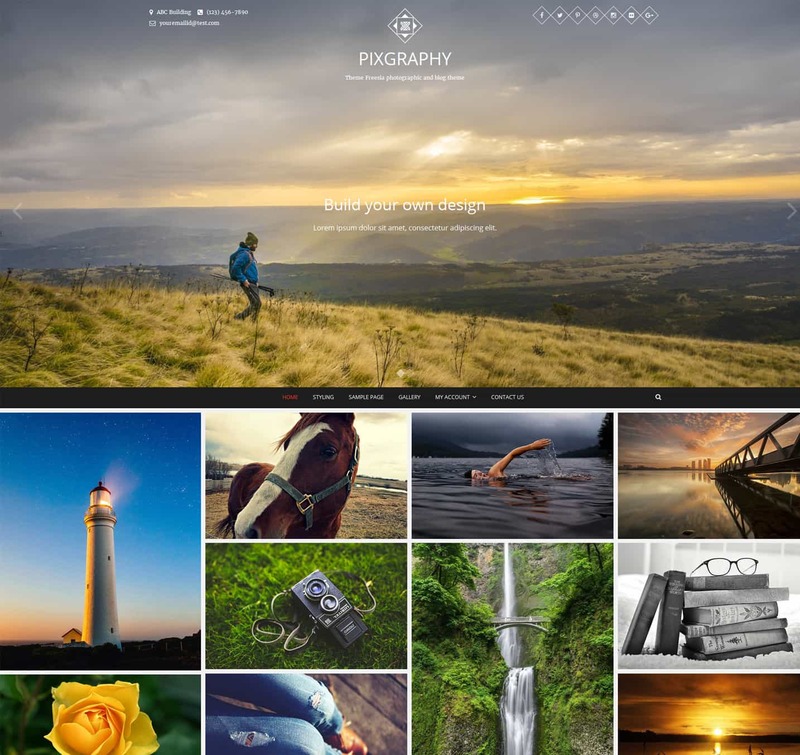 In two rows you can present your beautiful photos with clean and stylish titles on white background. 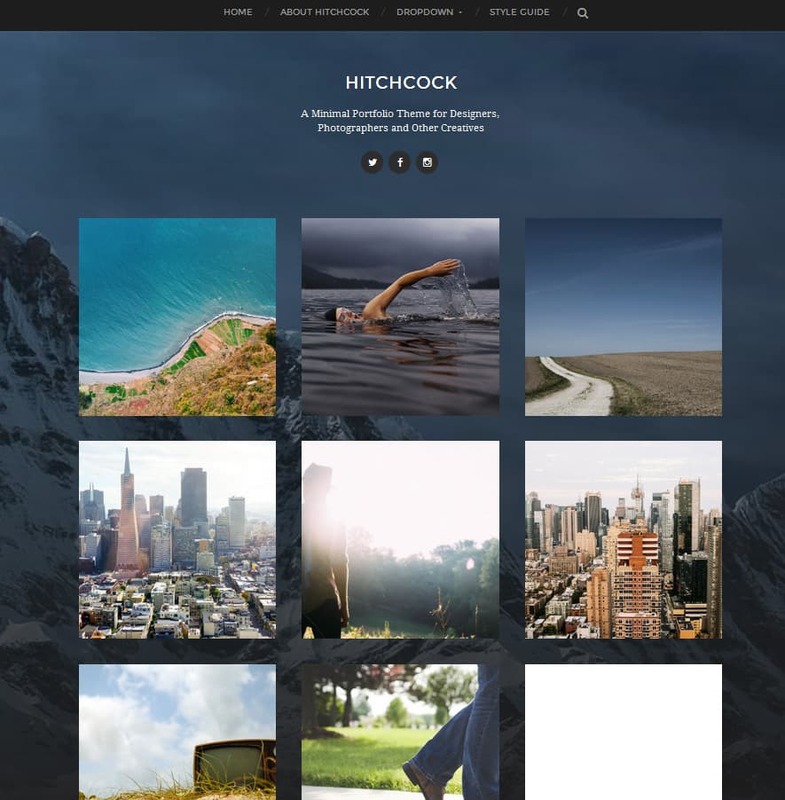 Photographer theme is easy to setup and add new photos in a grid style. 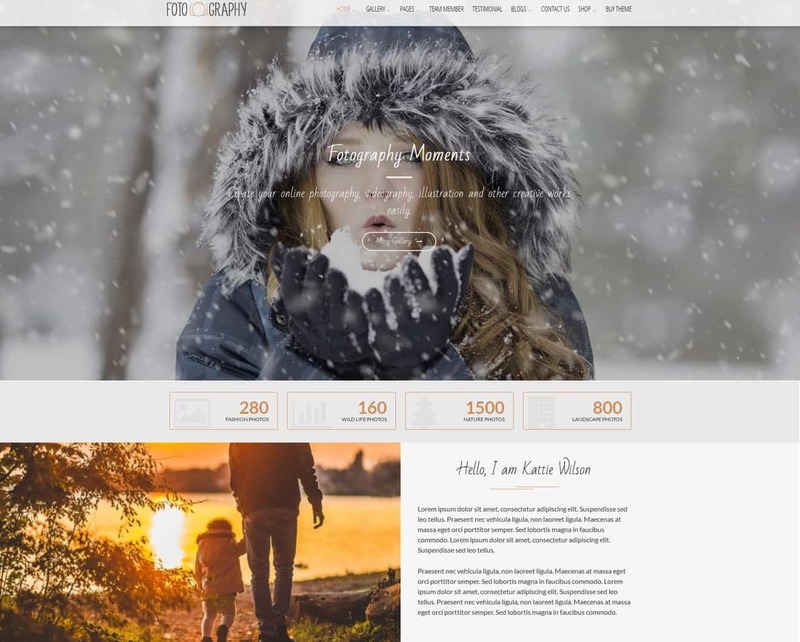 Well design and coded with professional photographer website in mind. 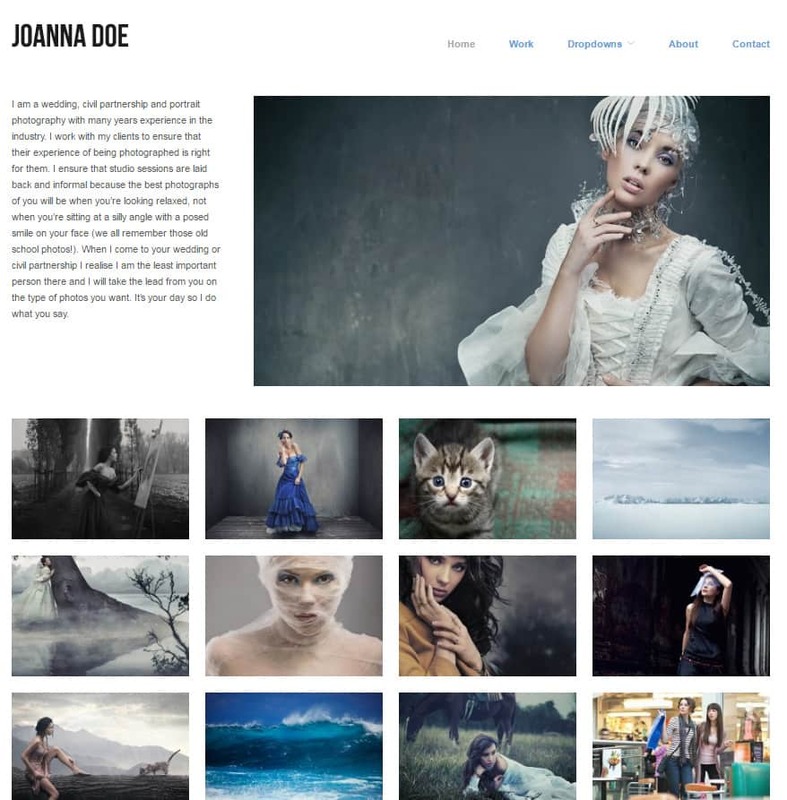 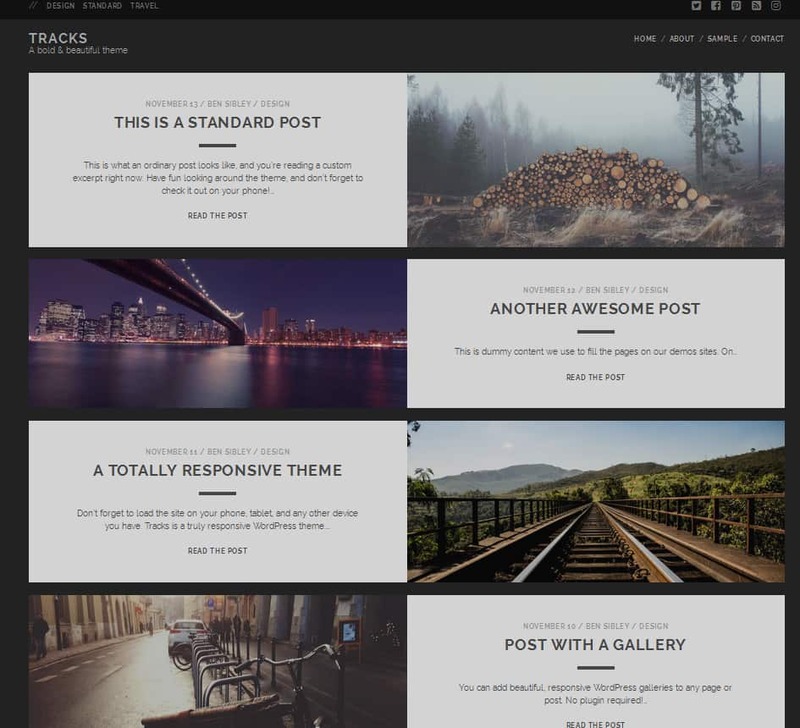 Free Photography WordPress theme is simple and modern theme setup in one grid scroll image. 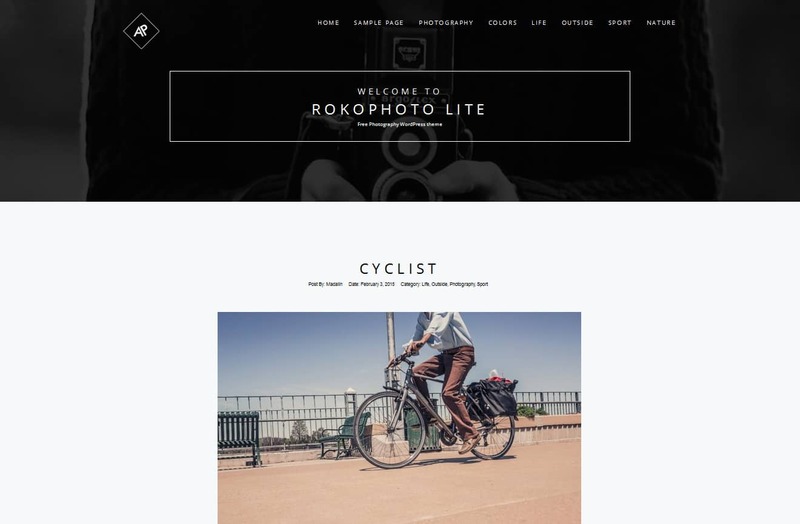 Very simple to setup and add your photos. 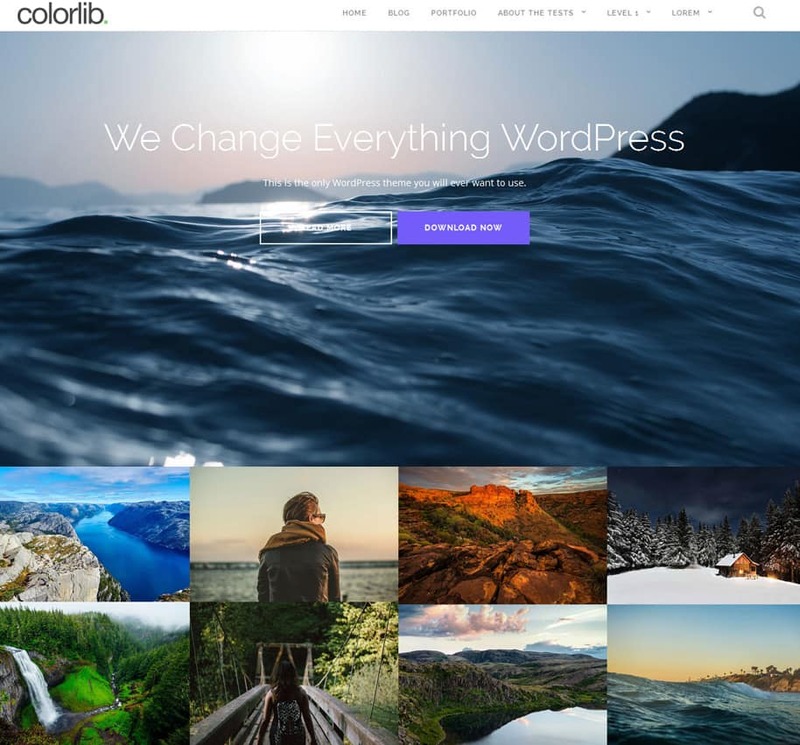 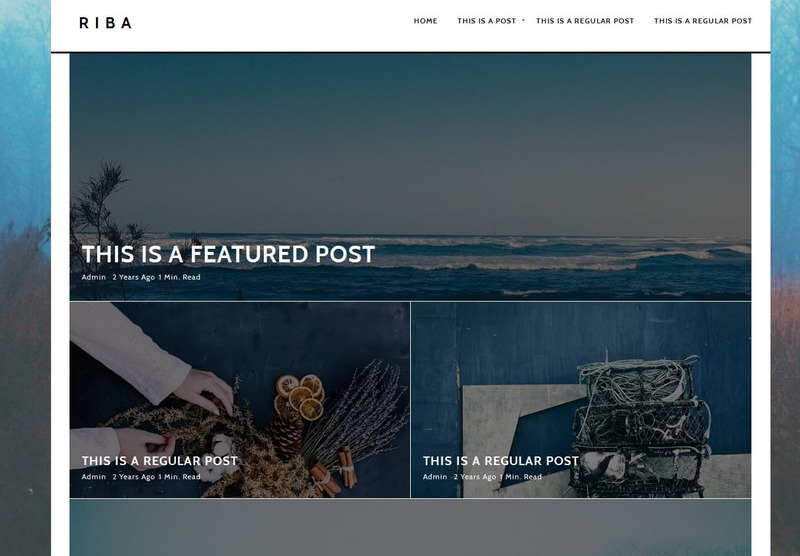 If you looking for modern and simple clean free photography wordpress theme this is one for you. 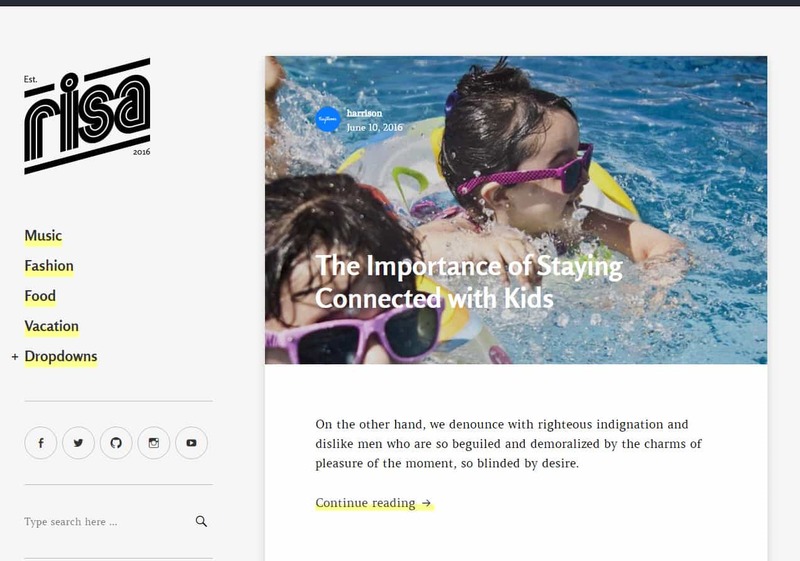 Large titles on the left and images on the right with few lines of photo description. 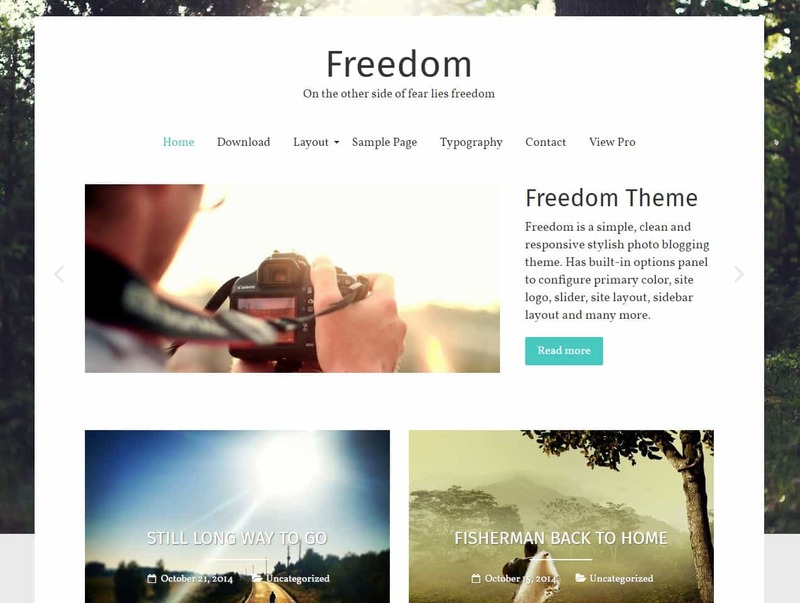 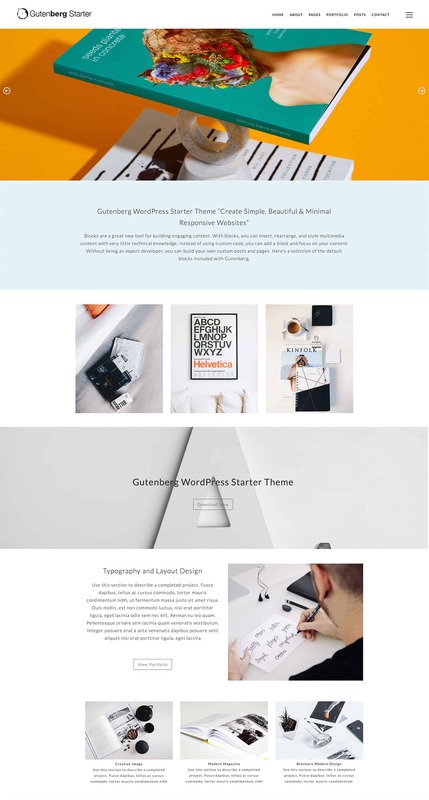 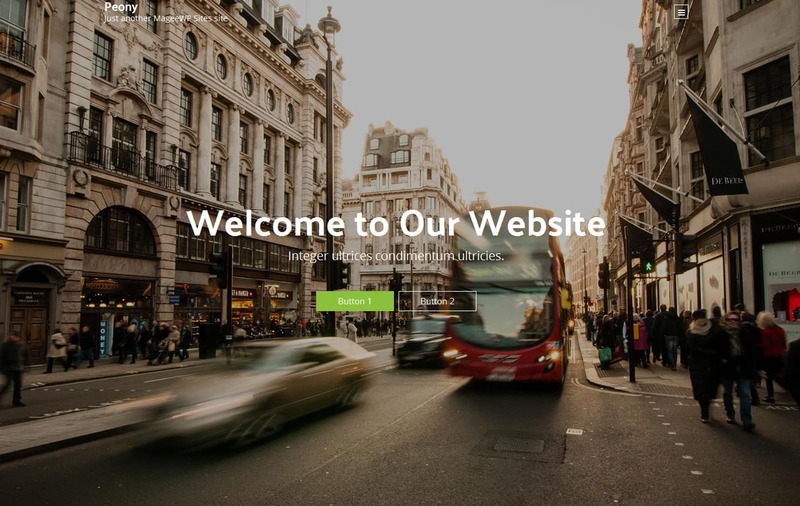 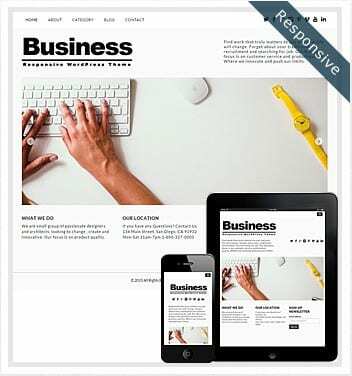 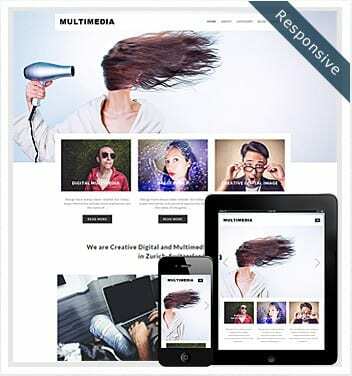 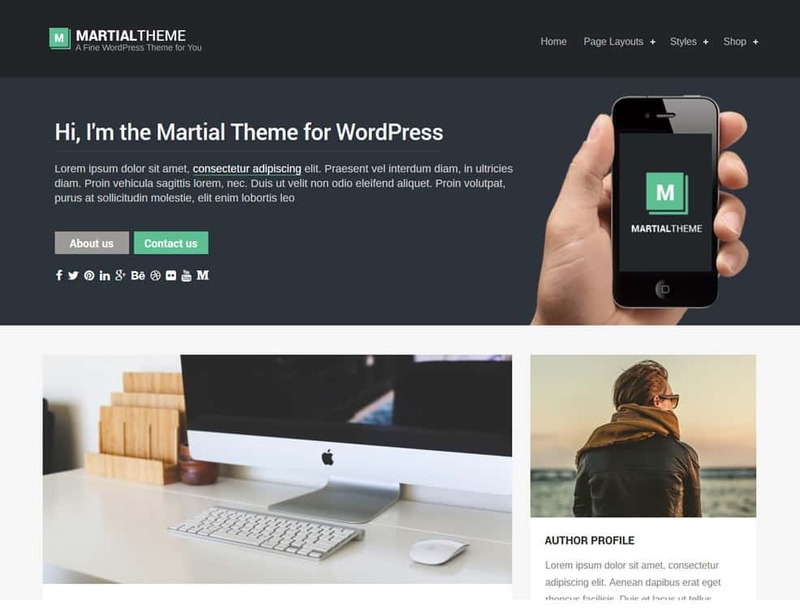 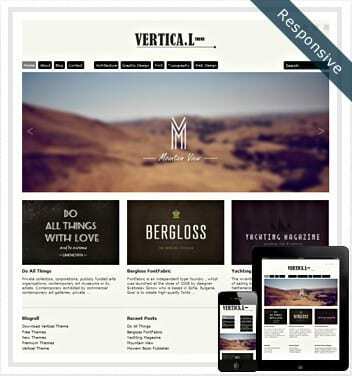 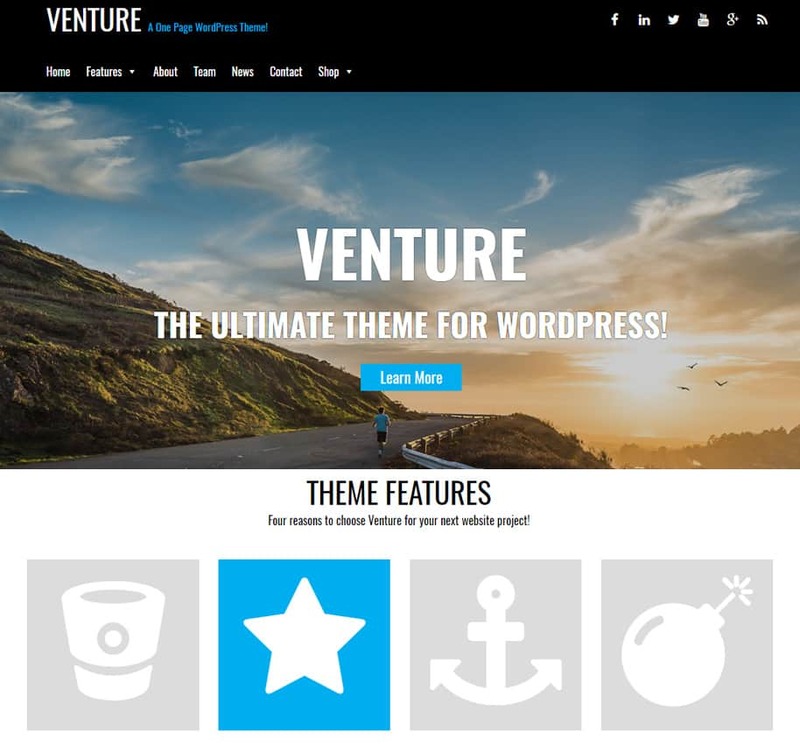 Simple Photo free WordPress theme with large build in slider and grid based small images under it. 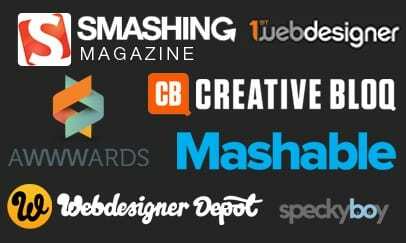 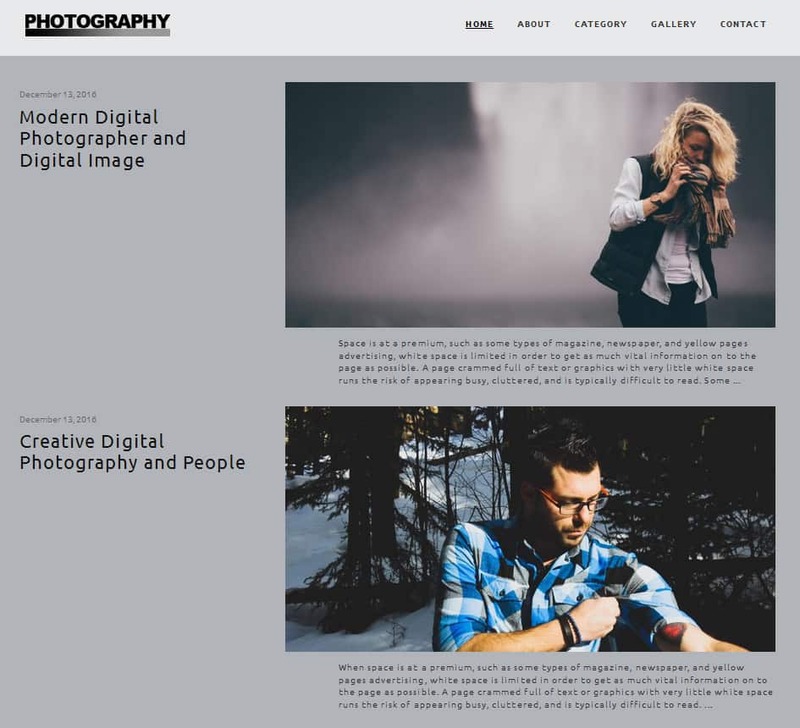 Perfect for any modern photographer looking to setup free wordpress theme website and just post images. 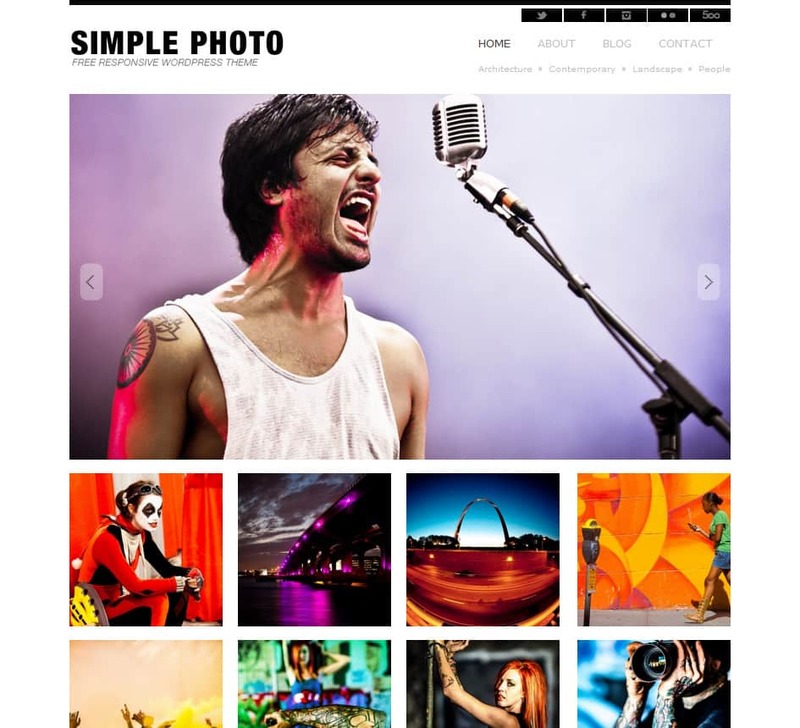 Simple and clean the focus is only on your photography, as a photographer your images speak the words. 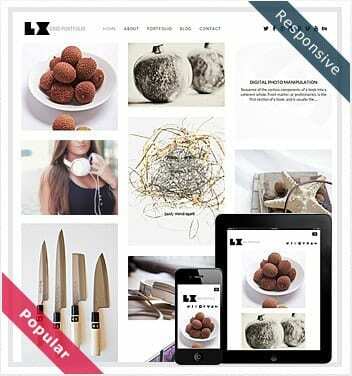 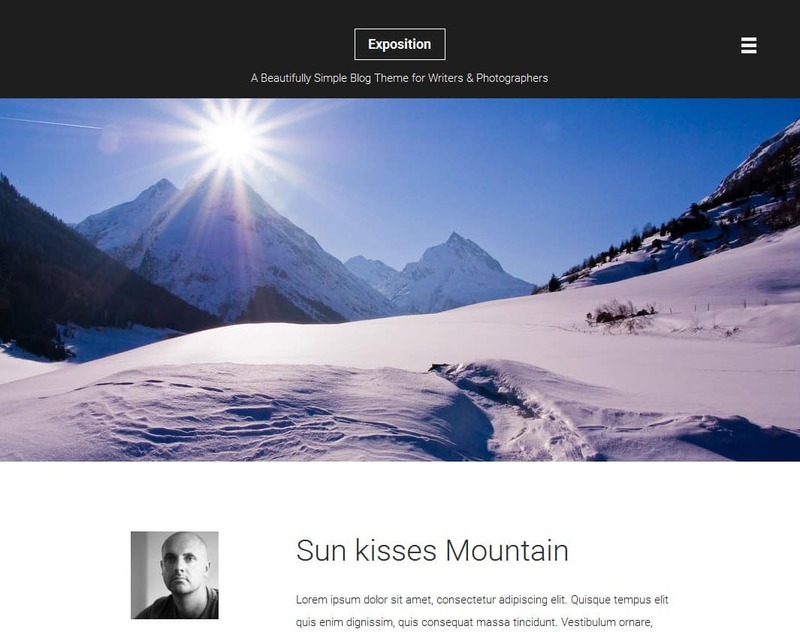 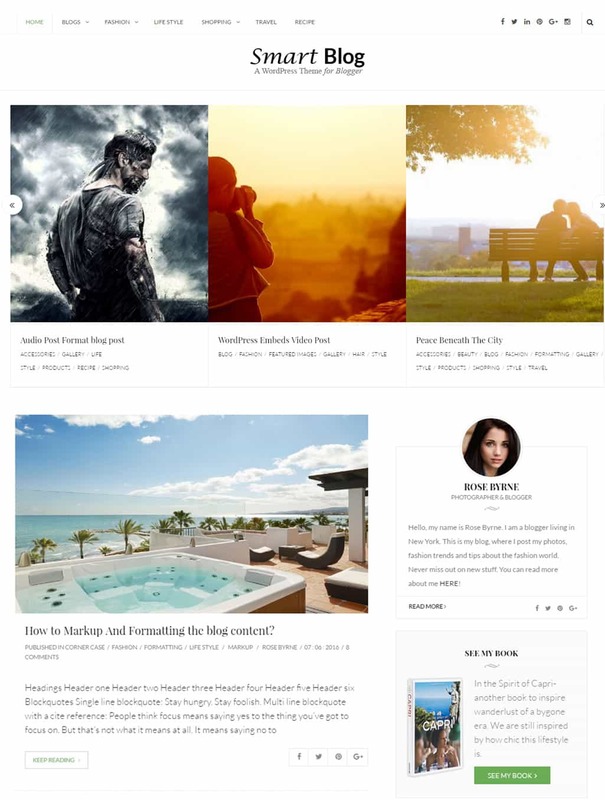 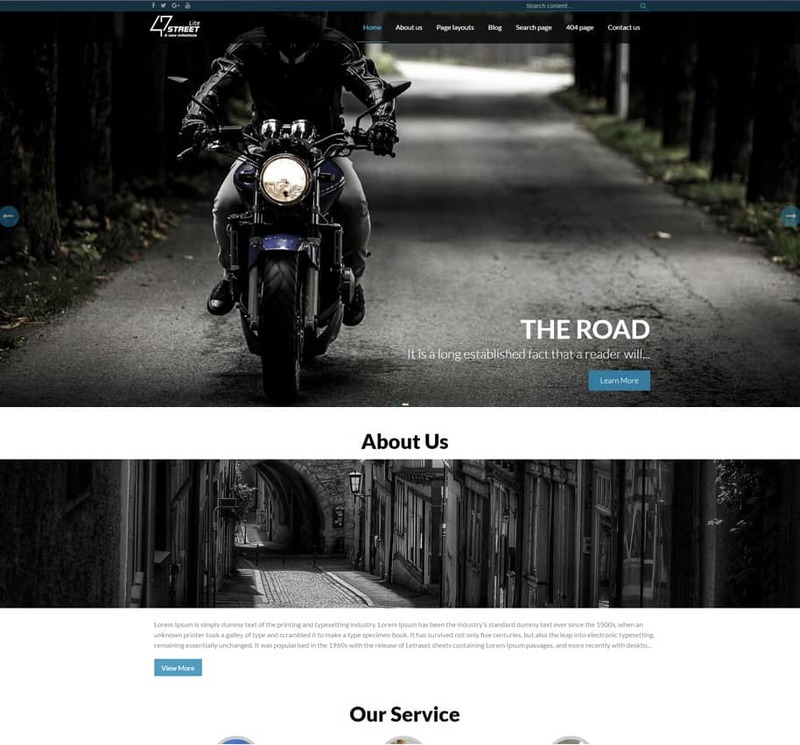 Exposition beautiful free photography WordPress theme with black navigation bar and fully responsive menu. 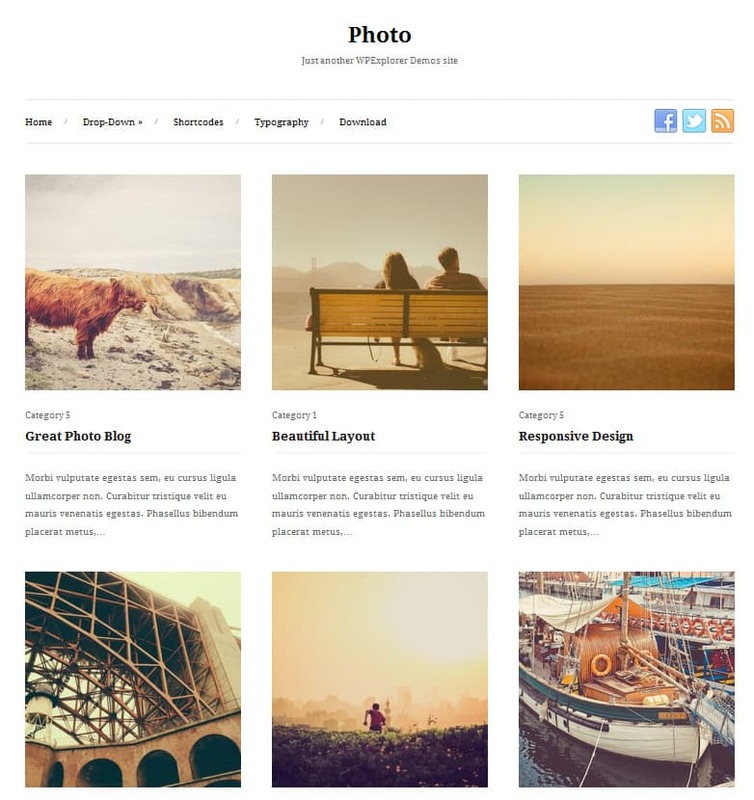 This free photo theme comes with large image and description with photo of the photographer under the main image. 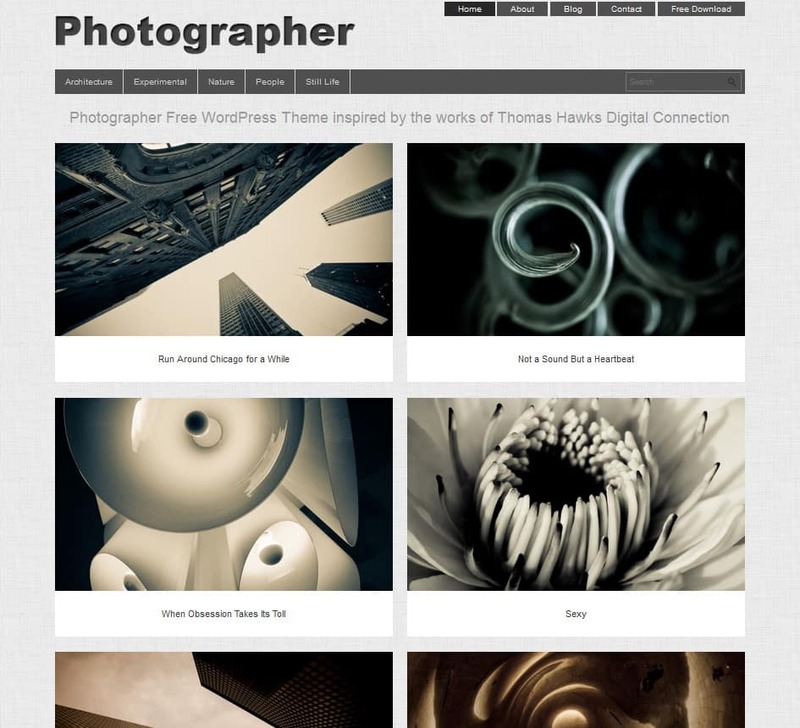 Great photography theme for any modern and digital photographer looking for new website.